Over the past month there has been a constant thought at the back of my mind – Canada. 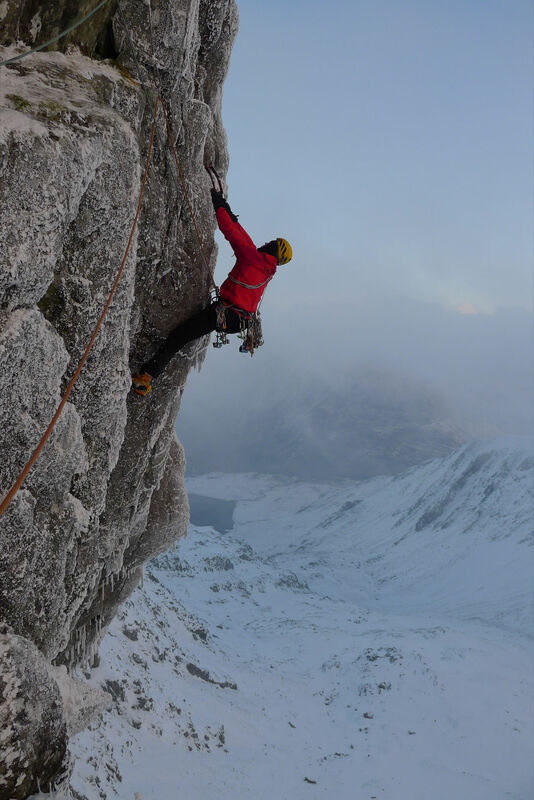 On the 10th March Nick Bullock and I will be flying to Calgary for a 3 week trip to climb up a variety of overhanging (possibly loose) mixed lines leading to overhanging (possibly detached) ice-falls. Looking through Sean Isaac’s Guidebook to Mixed Climbs in Canadian Rockies it is difficult to identify individual objectives when there are so many aesthetic and outrageous lines. Nick is on the form of his life having climbed a variety of cutting edge first ascents and hard repeats including Pic n’ Mix Direct (IX,10), Satyr (IX,10), and Black Spout Wall (IX, 10); truly inspiring and it drives me to up my own game. 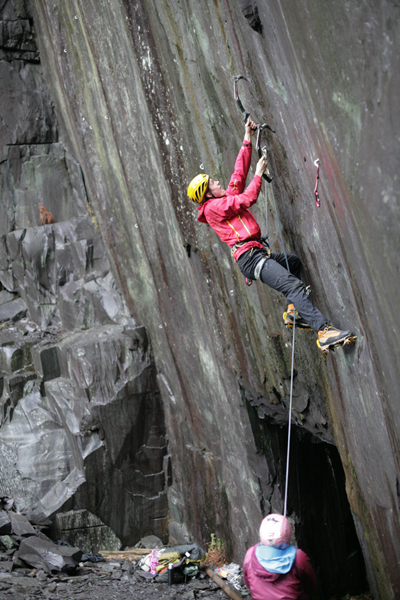 A few weeks ago I attempted, and failed, Travesty – a superb VIII, 8 on Clogwyn Du. It is a route I had wanted to climb for many years and a step up in difficulty from anything I had tried previously. The lack of success was disappointing, but made me realise that time/effort had to be put in prior to Canada: dry-tooling, 4 x 4 route sessions at The Beacon, power endurance circuits at The Indy, and many, many pull-ups/press-ups/sit-ups/lock-offs.